An HTHC representative will contact you to share orientation dates once we've received your information. Through the orientation, we will introduce you to the organization and answer any questions you may have. I have read below and understand. 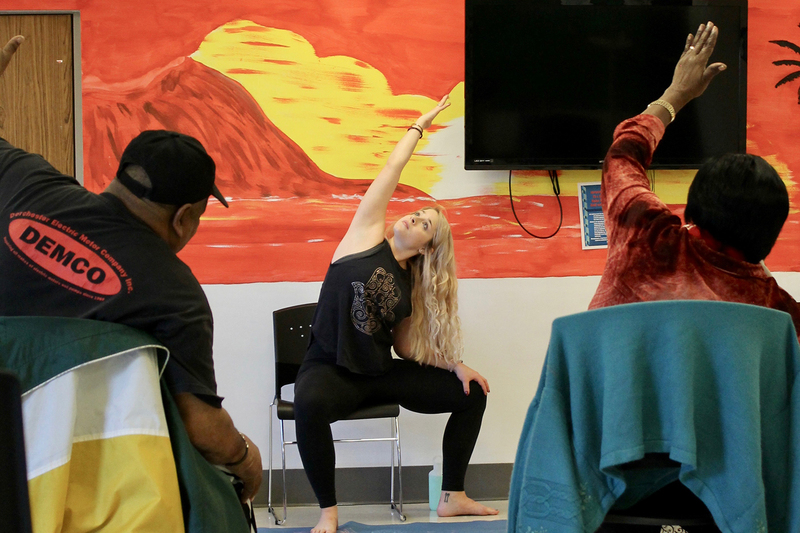 As Hands to Heart Center is a nonprofit, volunteer-run organization, we require a $10.00 application fee to subsidize our free and accessible yoga programs. After you submit your form you will be prompted in the confirmation box on the next page to pay your fee through PayPal. If you do not see the "PAY NOW" button or receive and email after 24 hours please contact susan@handstoheartcenter.org to settle your application. Hands to Heart Center Community Yoga Teachers are required to carry general liability insurance. Please email proof of insurance to susan@handstoheartcenter.org. How long have you been teaching yoga and approximately how many yoga classes have you taught? Please provide 2 professional references. These do not have to be yoga-related. What inspires you to volunteer with Hands to Heart Center? How did you hear about HTHC? What is the name and location of the yoga studio where you practice most often? How did you find out about Hands to Heart Center?